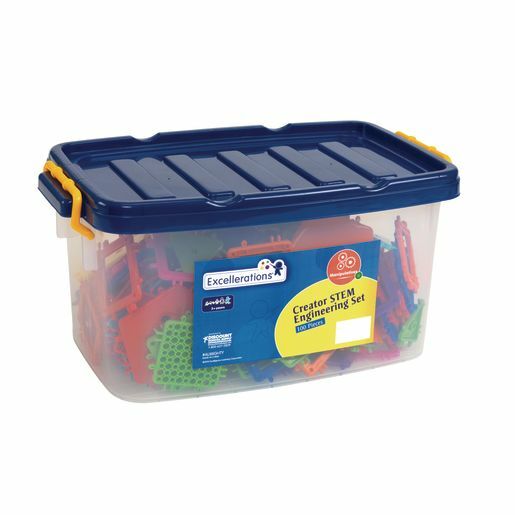 Get set for endless creative STEM constructions! 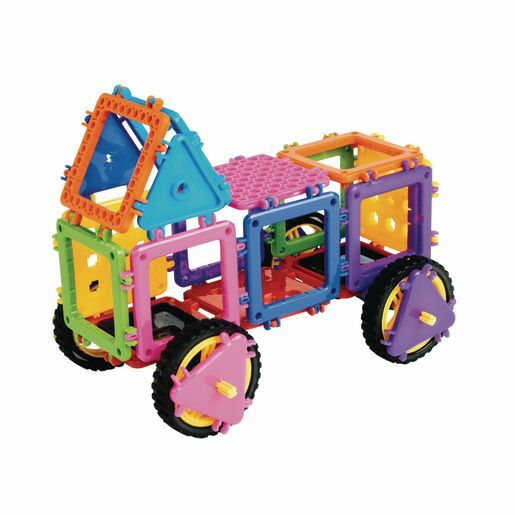 Build with 4 different types of frames that are either hollow or with holes and hinge (or click) together with triangles, squares and pentagons. Add wheels and kids will be ready to roll. Largest piece measures 4" x 4" x 1/8", smallest measures 2" x 2-1/4" x 1/8" and squares measure 3" x 3" x 1/8"